Instant Pot chili is keeping me warm during this nippy time of the year. And topping it with all the cheese and all the sour cream I could get my hands on. (Sorrynotsorry). 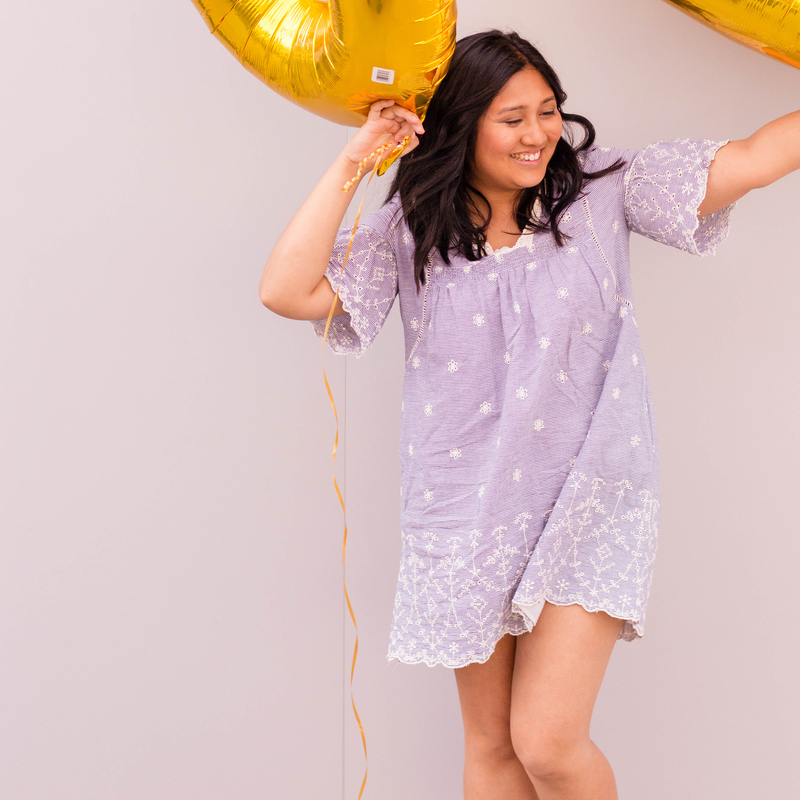 I often talk about my winter blues on this blog. This year, while there has been some vast improvement, I still find myself in a seasonal slump. I think a lot has to do with the ongoing greyness in the weather. Most recently, Montreal has been hit with freezing rain, and it hasn’t helped the situation. When I’m feeling all cooped-up indoors, there’s nothing I enjoy more than developing a new recipe. 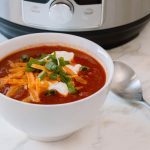 Lately, I’ve been on an Instant Pot kick and so came about my Instant Pot Chili. My recipe is a hybrid between a stew and a chili, giving it a more liquid consistency than traditional. This makes my Instant Pot Chili the perfect pairing with corn bread (or even crackers)! What’s the best part to my Instant Pot Chili? Oh em gee, it is totally the garnishings. Totally. In fact, if you’re looking to thicken up the consistency, the sour cream topping definitely gives it some more oomph. So while I wait for spring’s arrival, I’ll be getting cozy with a warm bowl of my Instant Pot chili. Set Instant Pot on the sauté setting and add canola oil. 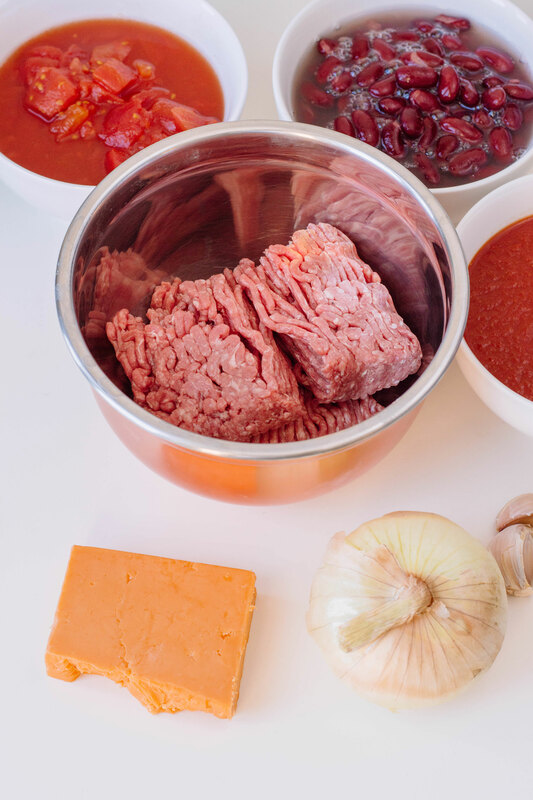 Once the Instant Pot starts to heat up, add ground beef, onion and garlic. Cook for about 2-3 minutes or until the beef is completely cooked. (Helpful tip: You’ll want to keep on mixing the ingredients to prevent anything from sticking to the bottom of the inner pot). Scrape off any browned bits off the inner pot. 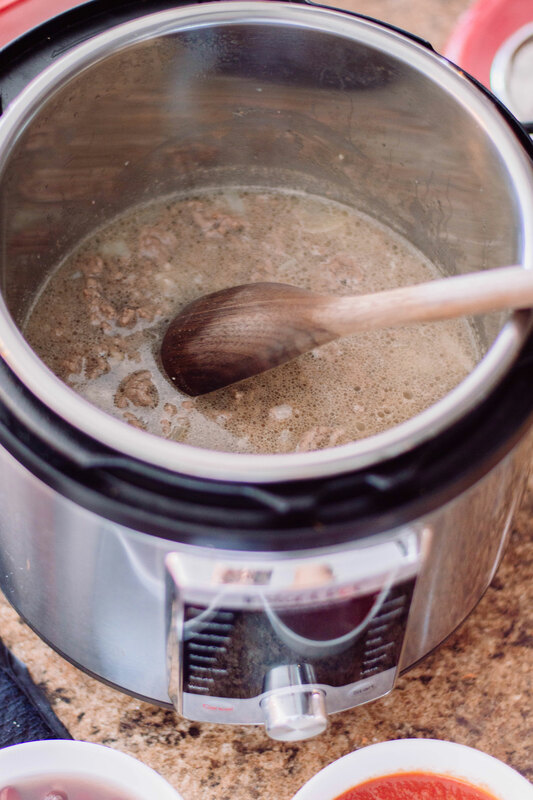 This step is vital – scraping off any cooked bits off the bottom ensures that your Instant Pot properly gets to full pressure. I also suggest using a wooden spoon so as not to scratch up the bottom of your inner pot. Add diced tomatoes, kidney beans, and tomato sauce on top. No need to mix! You’ll want to keep as much of the liquid at the bottom so that the Instant Pot comes to full pressure. Set Instant Pot to manual pressure on high for 15 minutes. Once the time is up, allow for a natural pressure release, according to your Instant Pot’s directions. Remove the lid from your Instant Pot and mix all of the ingredients. 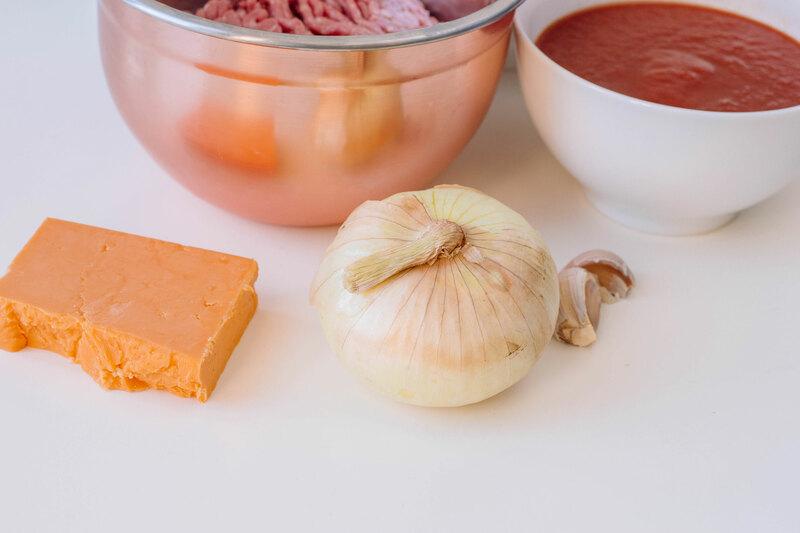 Serve in separate bowls and add a dollop of sour cream and garnish with green onions and cheddar cheese. How are you keeping warm this winter? 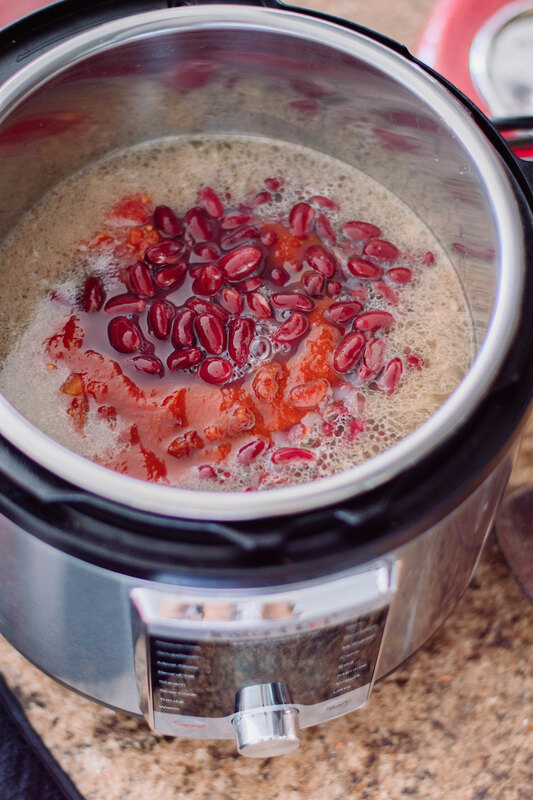 Have you ever tried making chili in your Instant Pot? 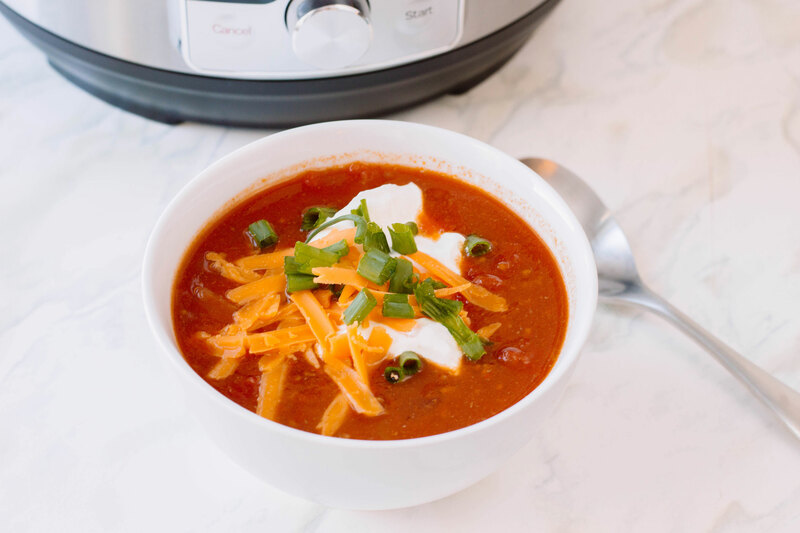 A warm bowl of chili made straight from the Instant Pot - perfect way to stay cozy this winter! 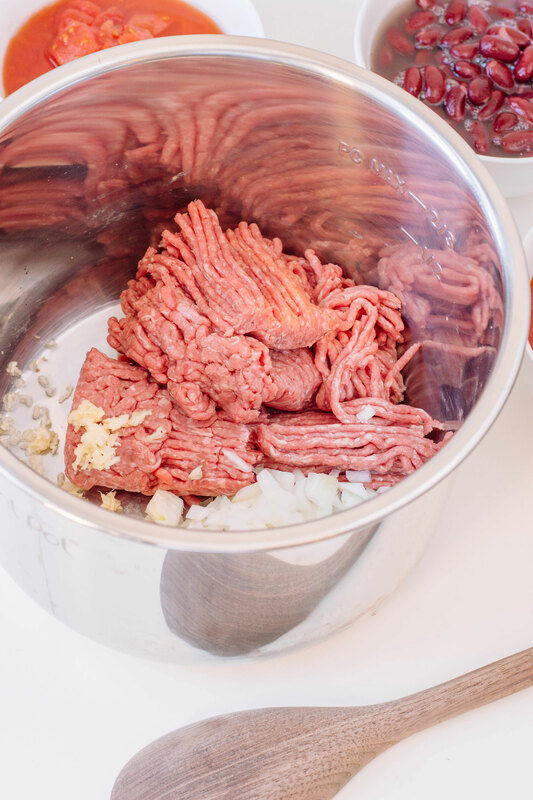 Once the Instant Pot starts to heat up, add ground beef, onion and garlic. Cook for about 2 minutes. Scrape off any browned bits off the inner pot. This step is vital - scraping off any cooked bits off the bottom ensures that your Instant Pot properly gets to full pressure. Add water and beef broth and continue to scrape any browned bits. Add diced tomatoes, kidney beans, and tomato sauce on top. I love using my instant pot for a variety of things, even desserts! Your IP chili recipe looks wonderful. I can’t wait to make it! I love a good chili. This would be perfect to make for my family for the upcoming snow day we’re anticipating. I do not have an Instant Pot 🙁 can I still make this on a regular pot? this looks so delicious! What a perfect recipe for the cold weather. I love garnishing my chilli with cheese and greek yogurt, it really does make it special. I’ll be trying your recipe soon! I am dying to get an instant pot, and this will be one of the first things I make when I do! Update that I got my instant pot! Can’t wait to try this. Ahh yay! I’ll be sure to post more Instant Pot recipes. I hope you enjoy! I love winter but as I said in a comment under another post, it’s not so cold here and it rarely snows in winter. I love your recipe but I’m vegan so I have to skip the meat I might use seitan instead, what you think? I’m not a huge chili person (I had a bad experience as a kid) but I’m all for a cozy, warm soup in the winter! Looks yummy. Going to try this Pot Chili recipe soon. Any more easy recipes to recommend? Your chili looks amazing. That is what I had for dinner, but I can tell you it took a whole lot longer to make! Time to get out the instant pot and make this recipe. I love using ours, as it’s a huge time-saver. Plus, I feel the food tastes a lot better than doing it on the stove top. I like spicy food. 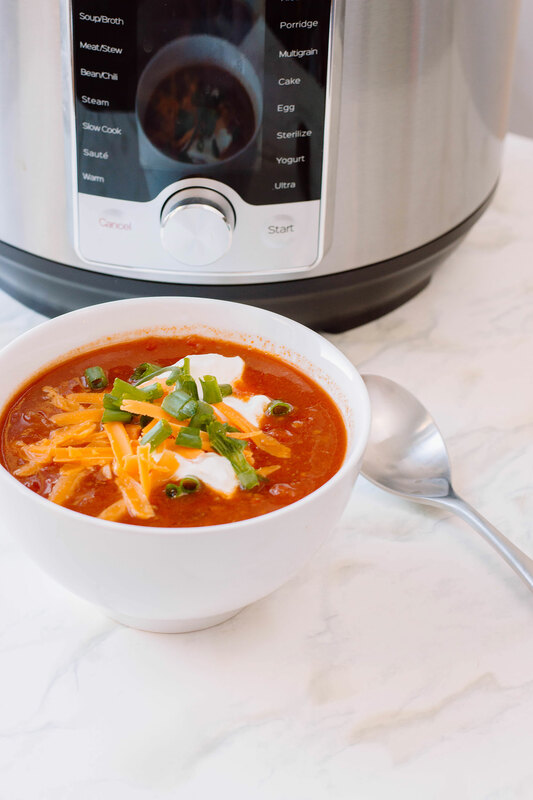 Your Instant Pot Chili looks amazing and tasty. There are a lot of dishes we use instant pot as well. THIS IS SO PERFECT FOR THIS WEATHER. I LOVE ANYTHING THAT IS COZY AND WARM. I STILL don’t have an Instant Pot! I’m slowly trying to be brave enough to purchase and use one, but it’s been slow going. Thanks for this recipe for when I stop being a coward! I’m a huge chili fan, especially in the winter, and this recipe sounds delightful. I really need to take the plunge and buy an Instant Pot. It seems to make cooking so much easier! Great chili recipe. The images make it look super delicious. 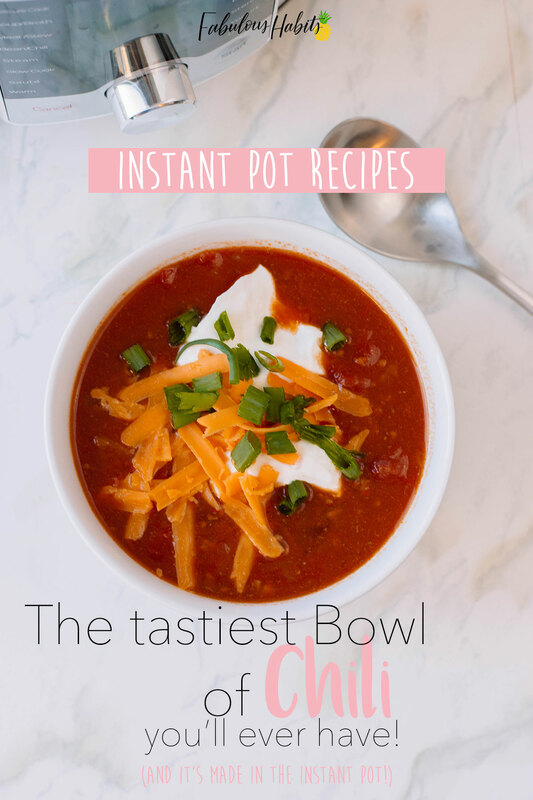 I am seriously missing out on so many delicious recipes because I don’t have an Instant Pot! I’m asking the hubby for one for Valentine’s Day; this looks great! Winters need to be dealt with such new & innovative dishes I guess.Good learning. I am in love with the Instant Pot! This chili looks absolutely delicious! Definitely the perfect winter dish. 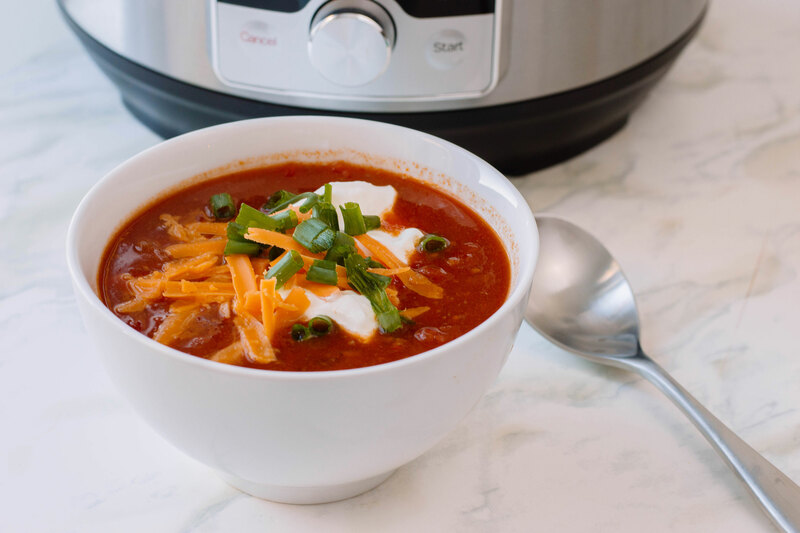 We love making Chili in our Instant Pot. We use chili beans, ranch style beans, onion, tomatoes, tomato sauce, ground beef and whatever leftover steak we might have. Oh and we add corn – so amazing! This looks yummy too! I would have to make this vegetarian for me! I cant believe I went all winter without any chilli! Everything made in Instapot is awesome! I can’t wait to check it out.